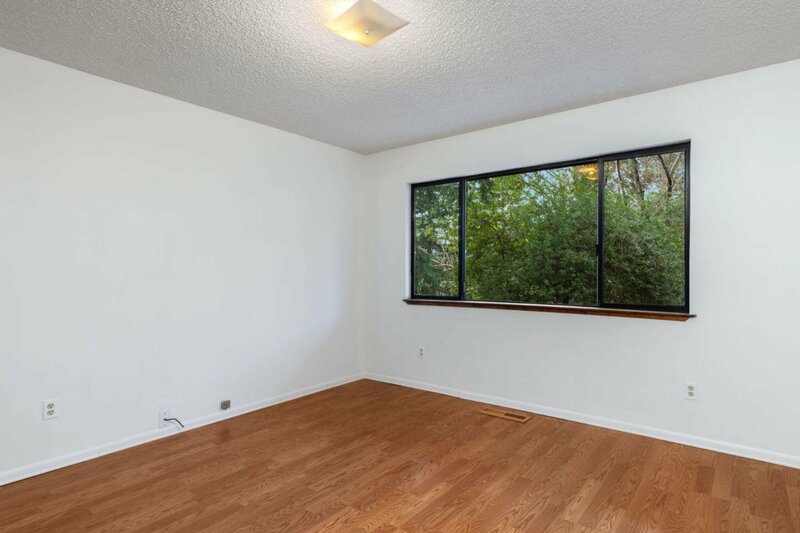 Quality Mt. 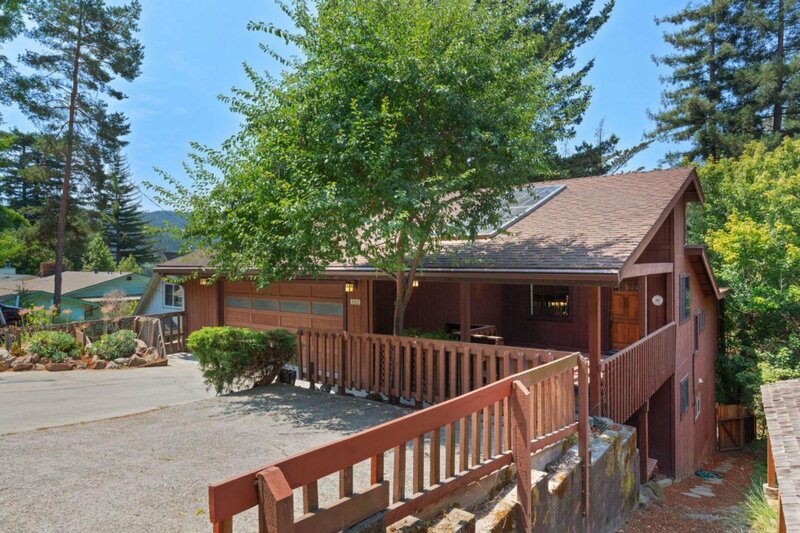 Hermon home. 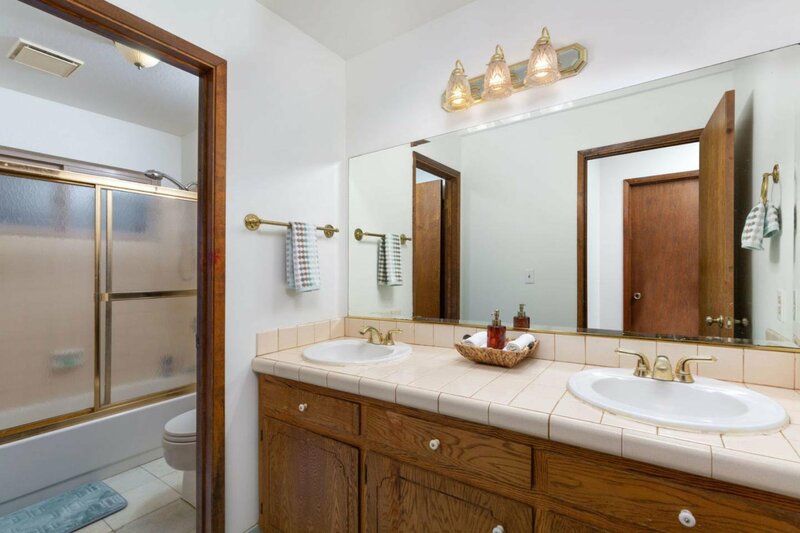 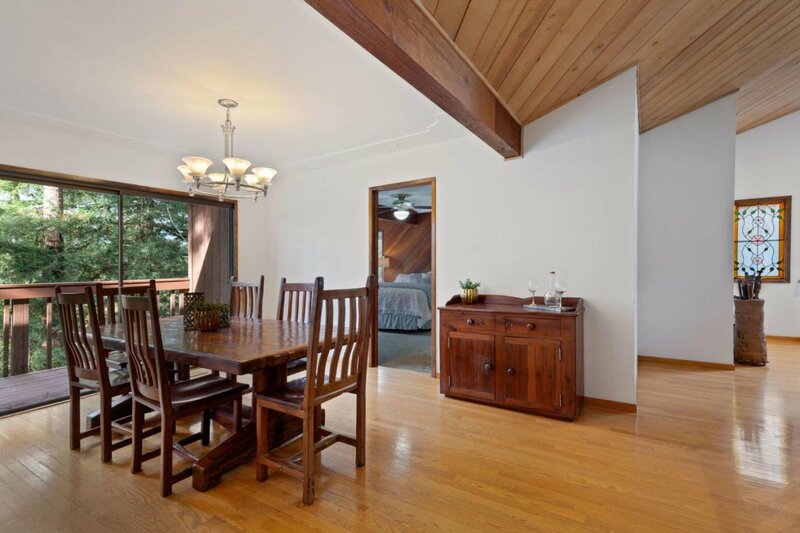 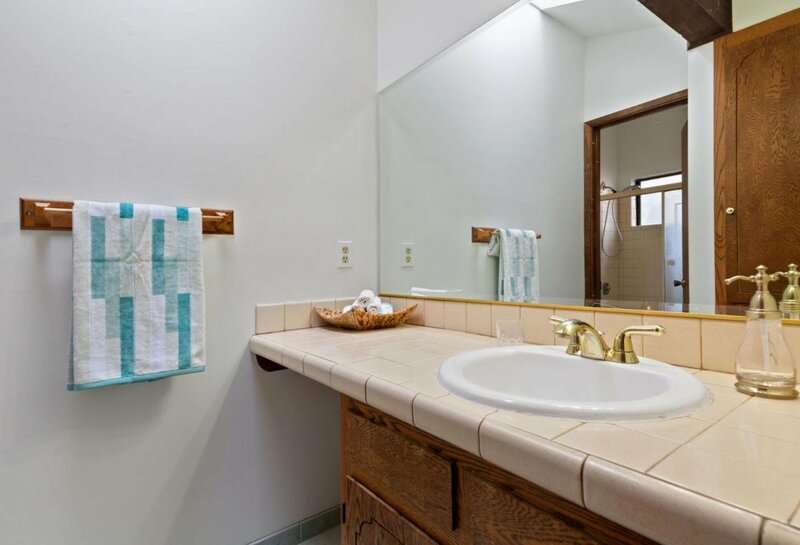 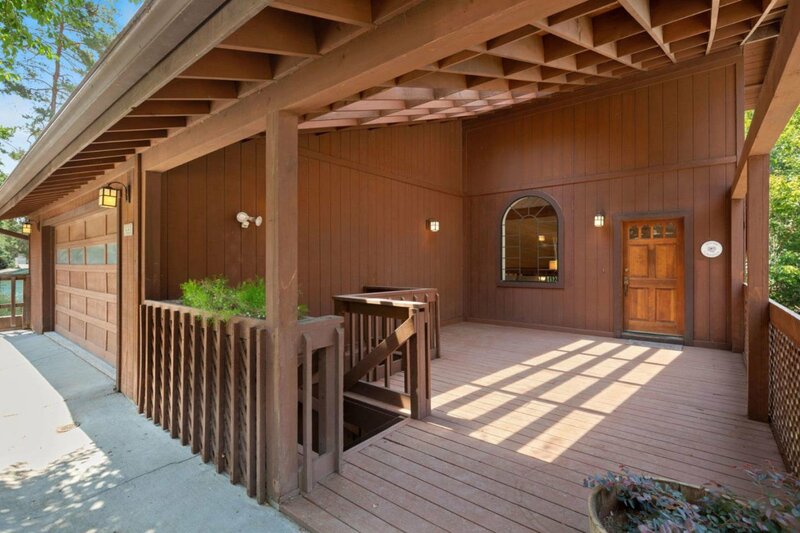 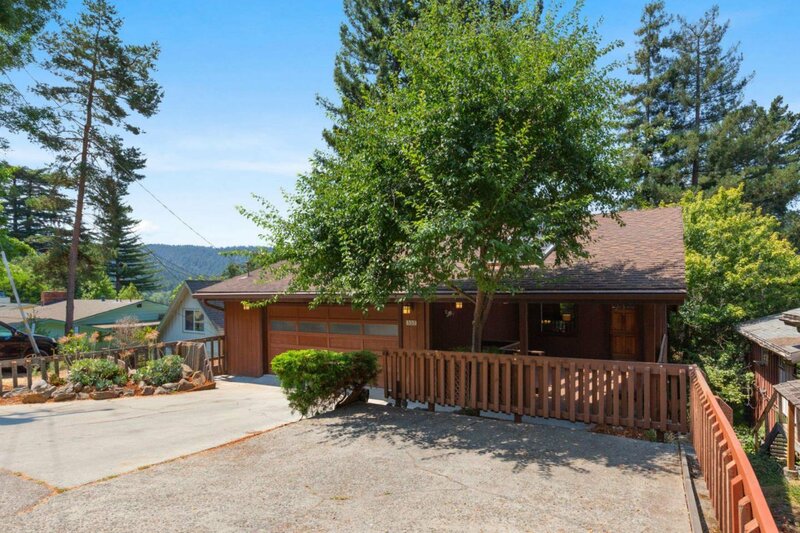 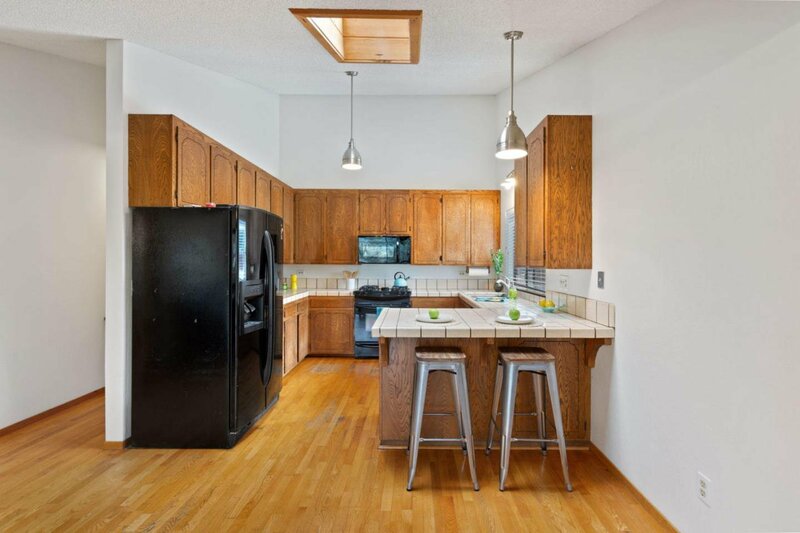 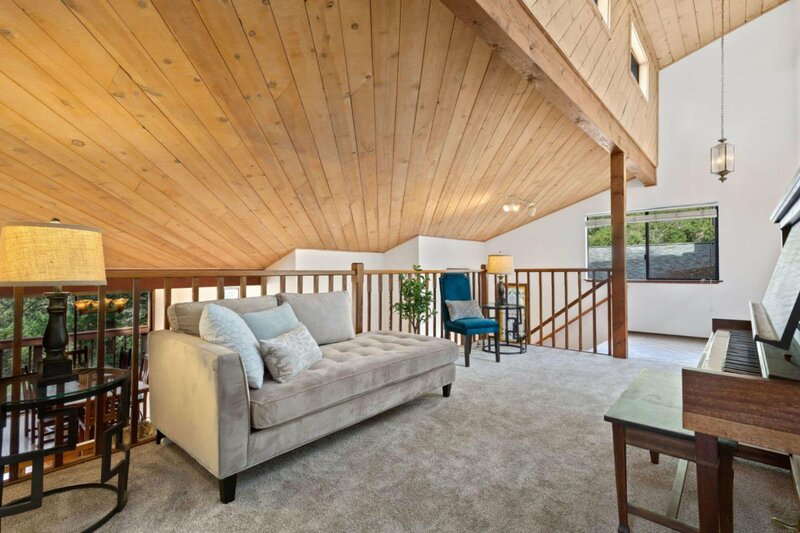 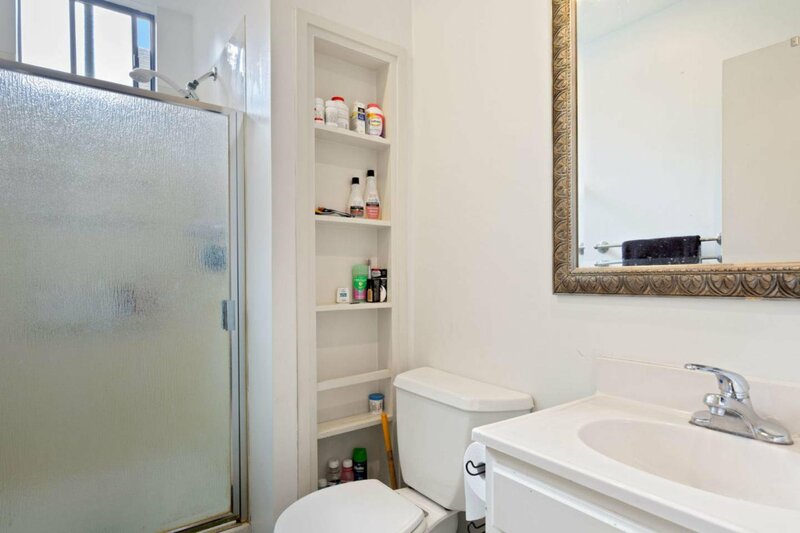 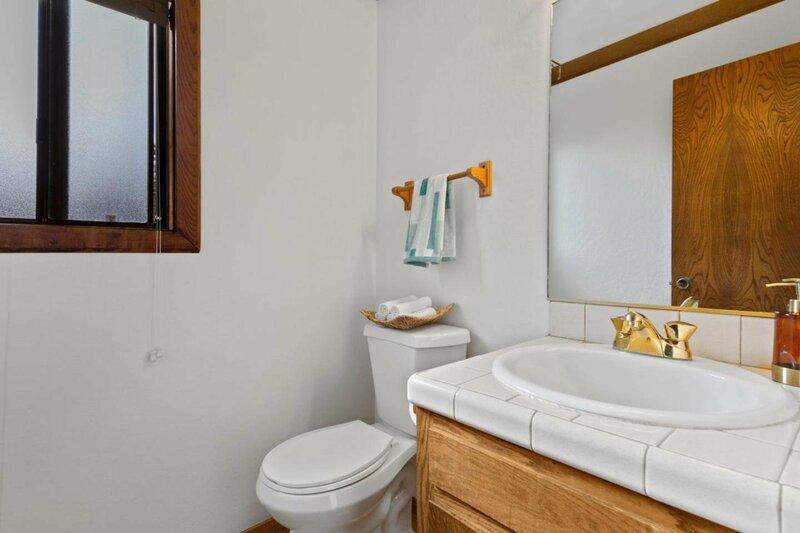 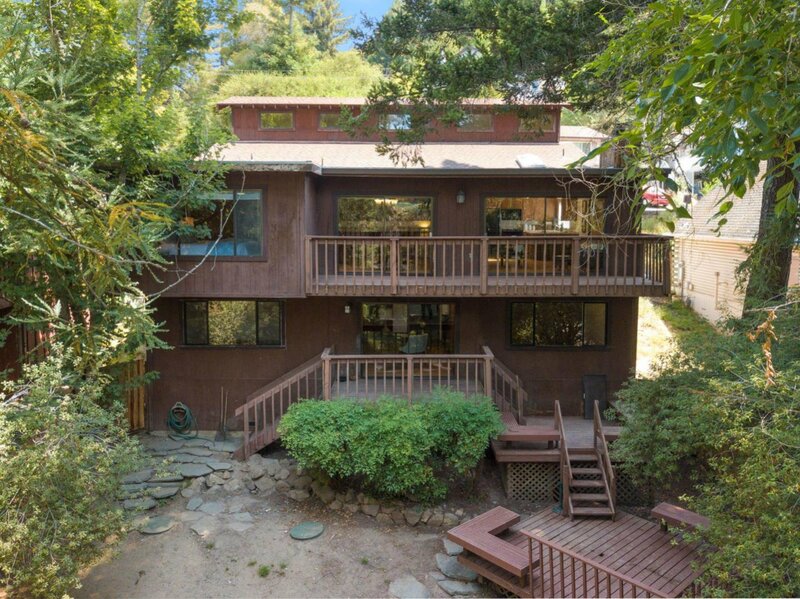 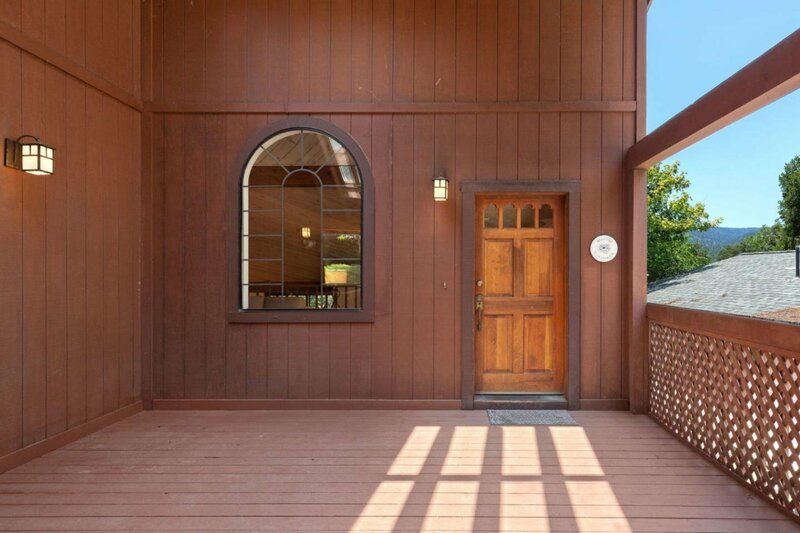 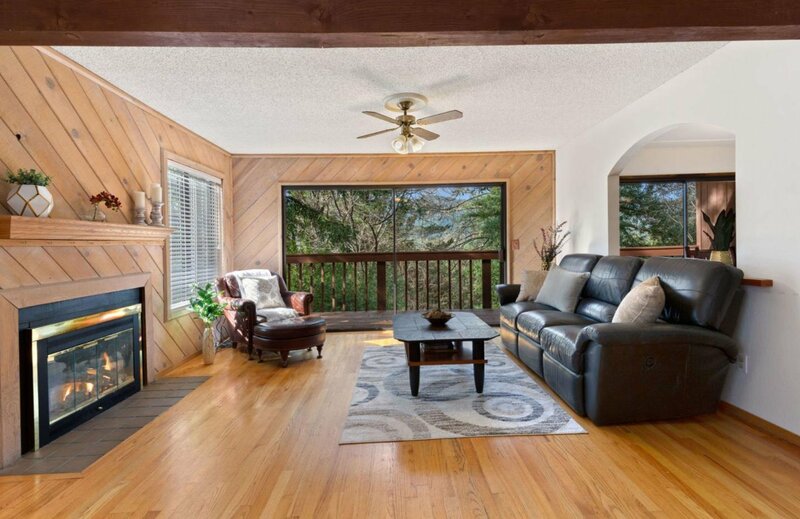 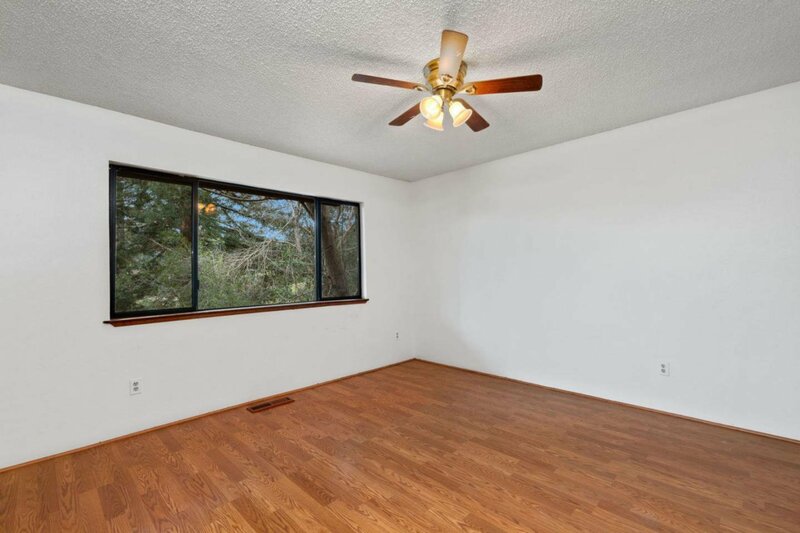 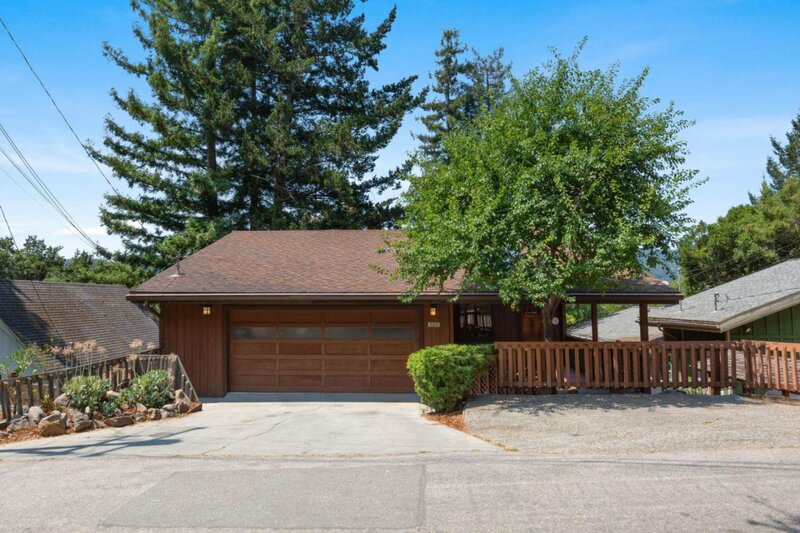 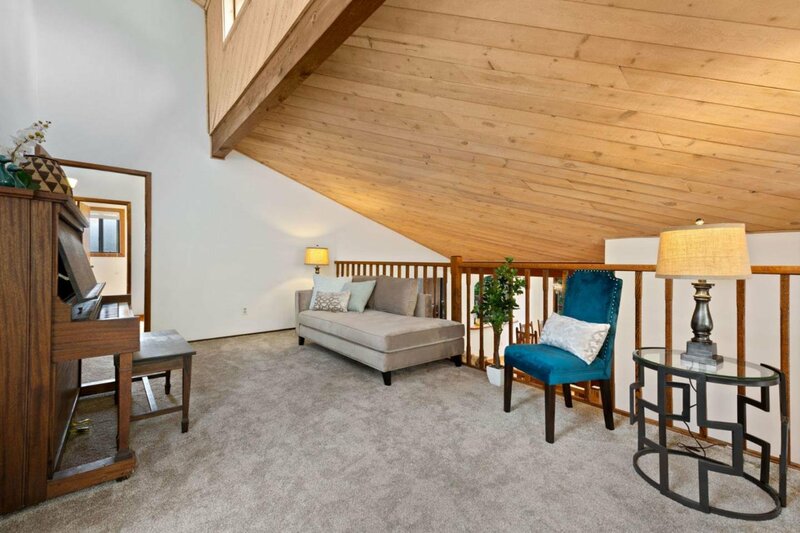 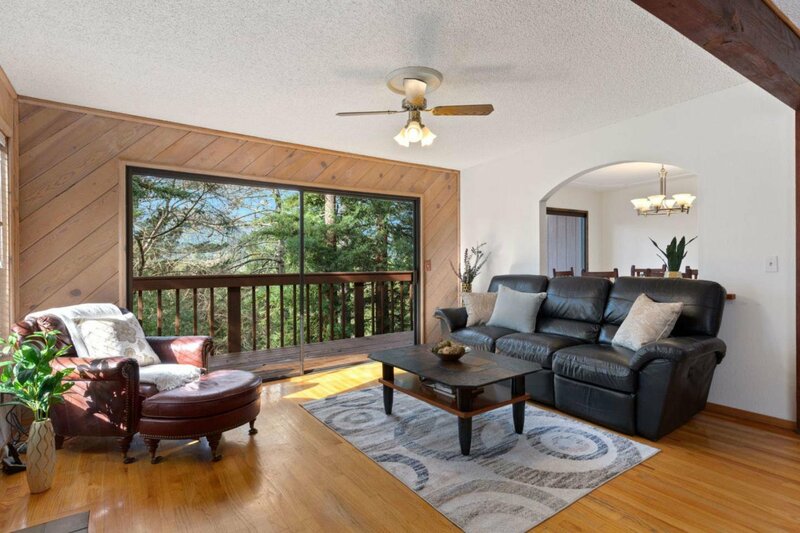 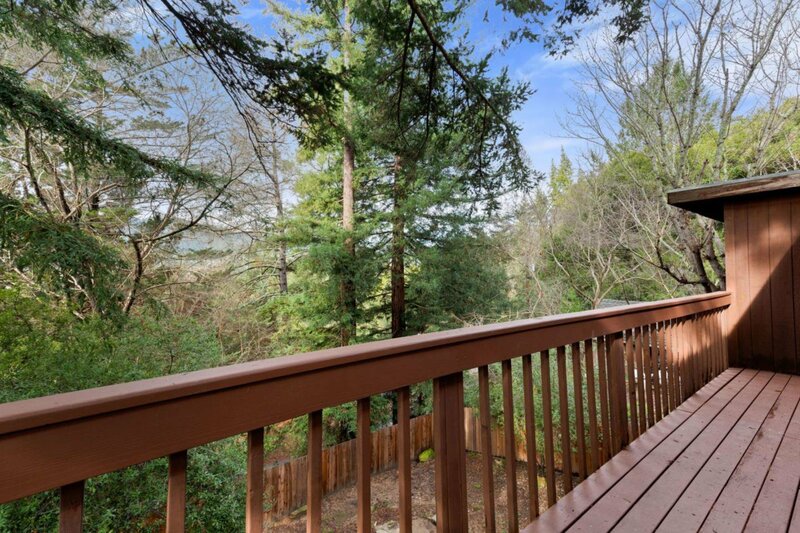 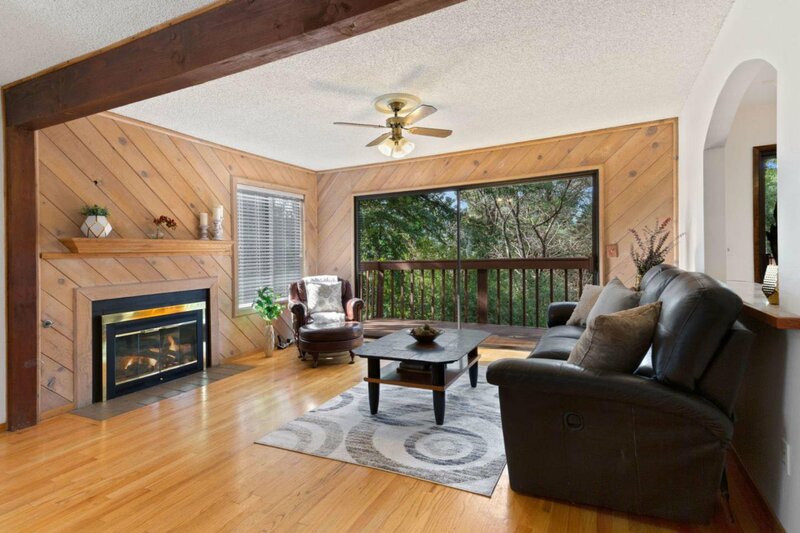 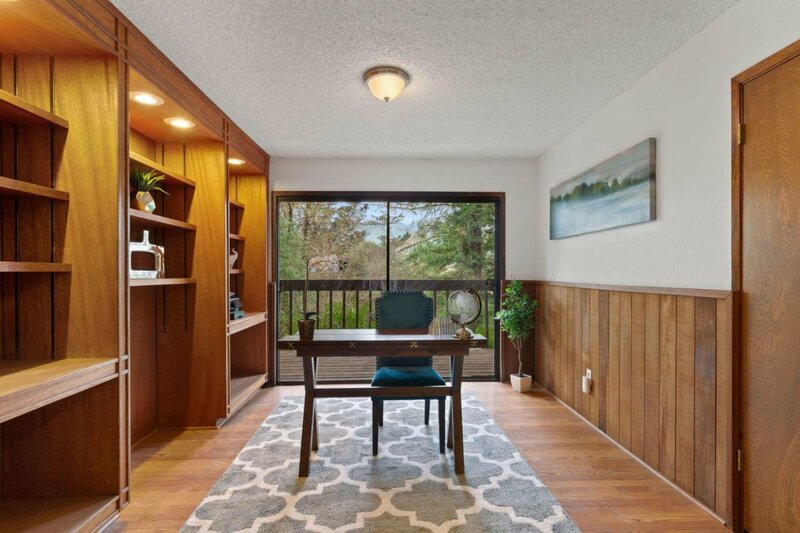 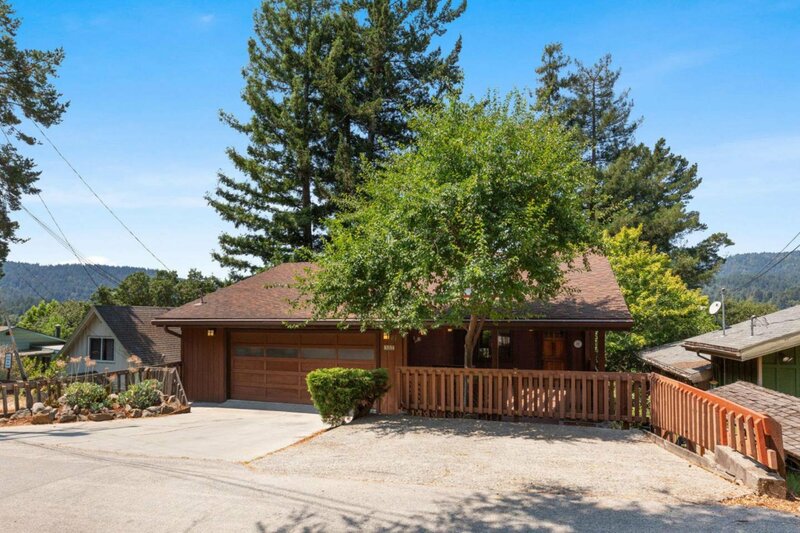 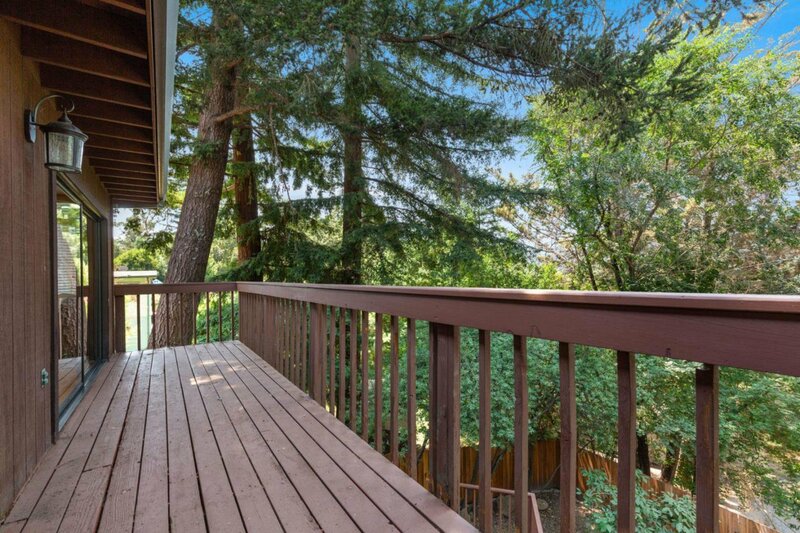 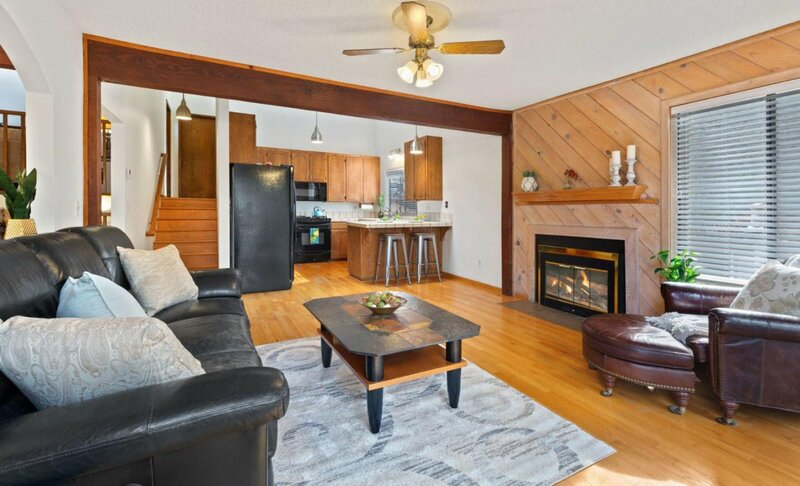 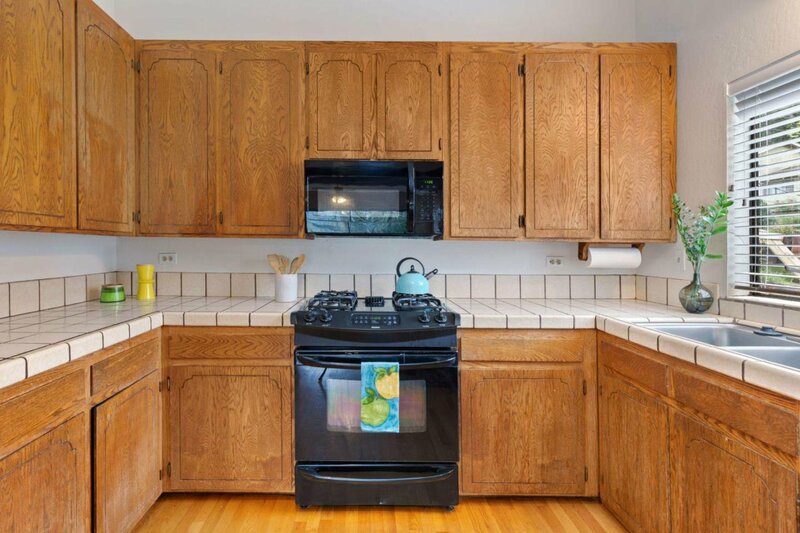 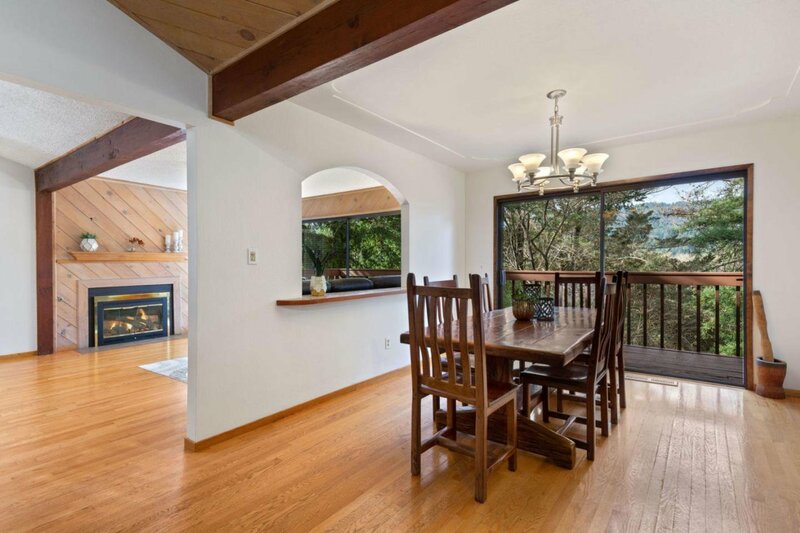 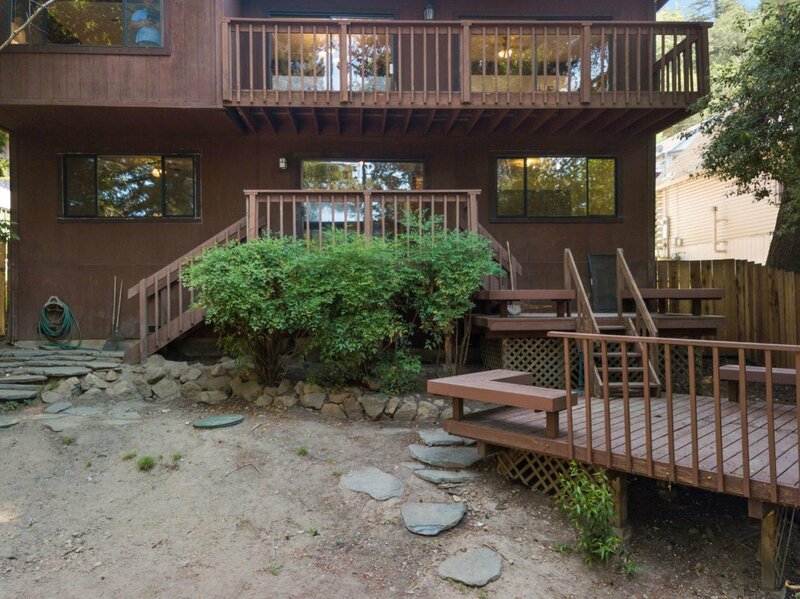 Peaceful and quiet, yet centrally located close to downtown within minutes from Scotts Valley and Santa Cruz. 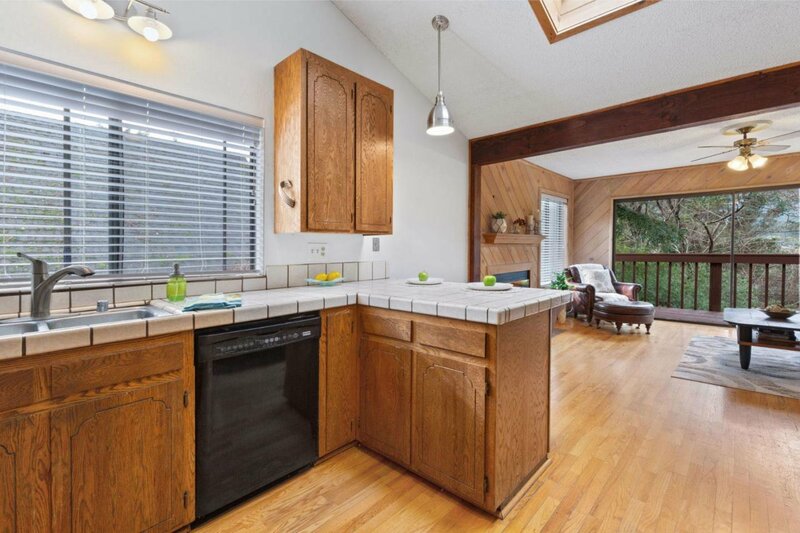 Great multi-level floor plan with large open living room, kitchen and dining areas. 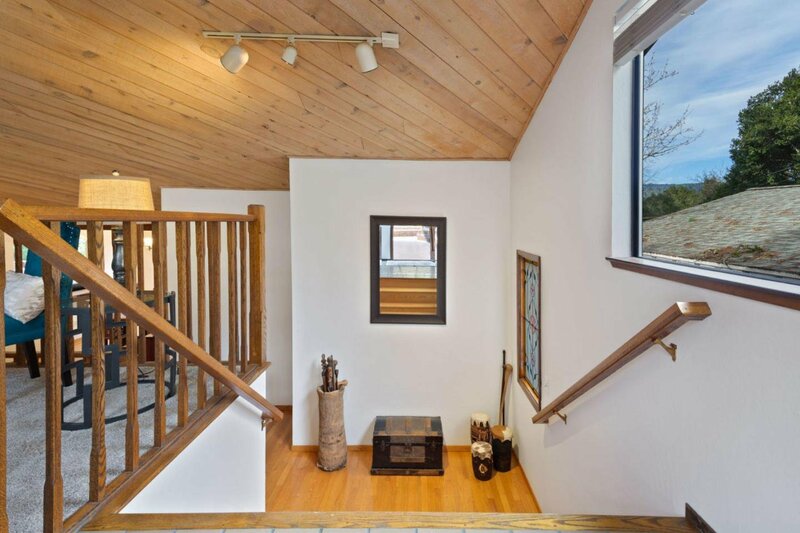 Fireplace, wood accent walls, heavy duty ceiling beams and hardwood floors throughout give this home a warm and welcoming feel. 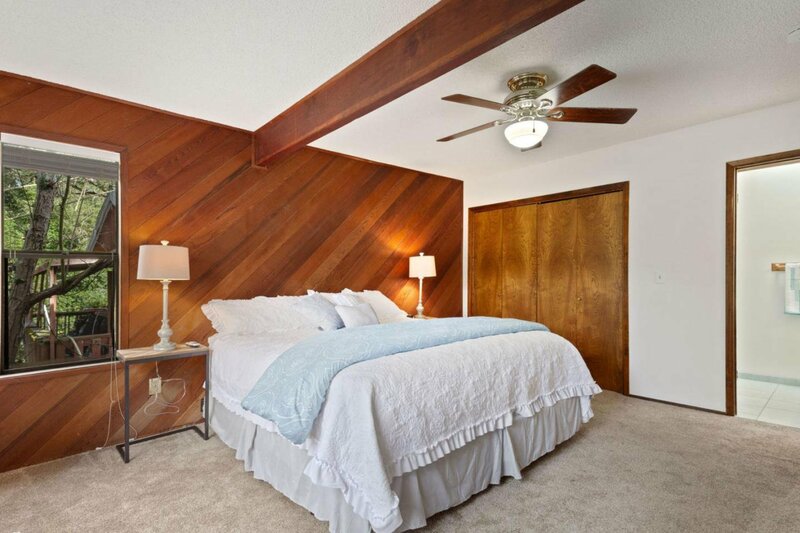 Master suite is in the main level, two other sizable bedrooms are downstairs. 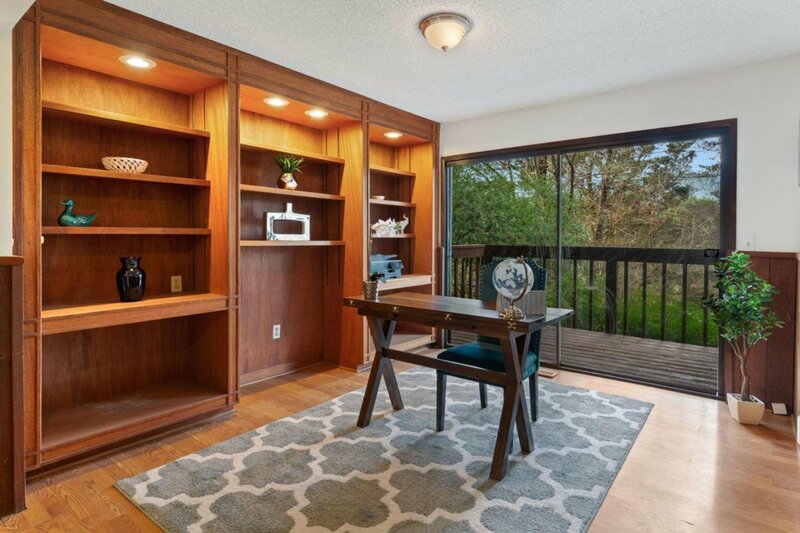 Office room downstairs has custom built-in cabinetry. 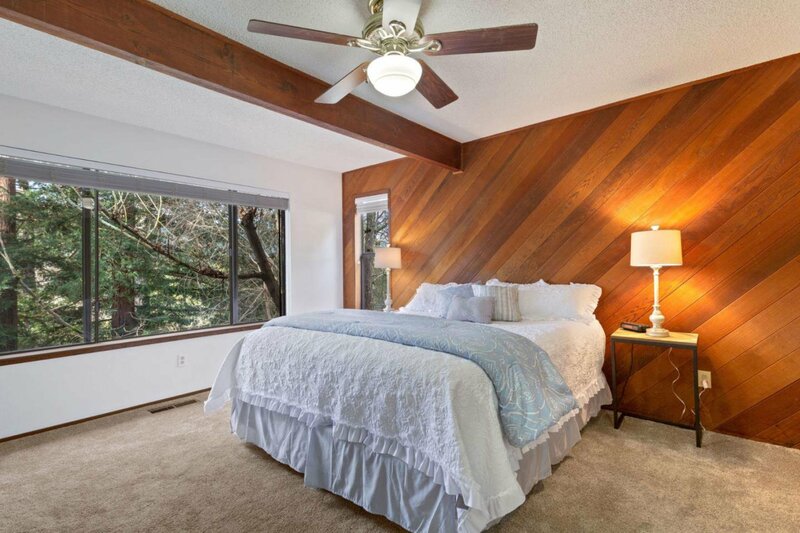 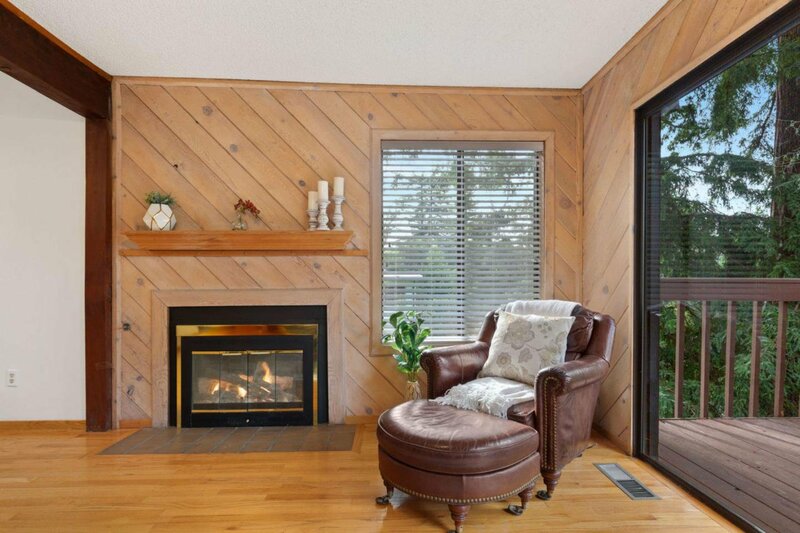 There are large sliding doors and windows with views of beautiful greenery in all the rooms! 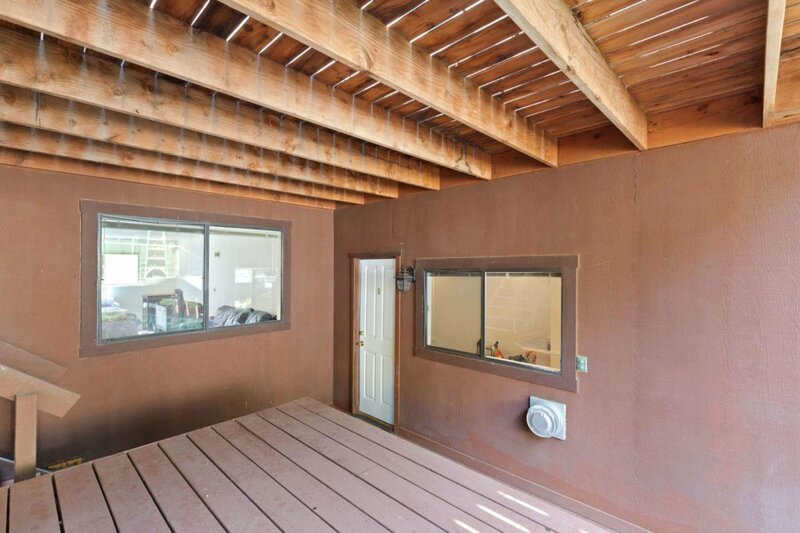 Fenced-in, private back yard and large covered porch in the front provide for different spaces to enjoy the outdoors. 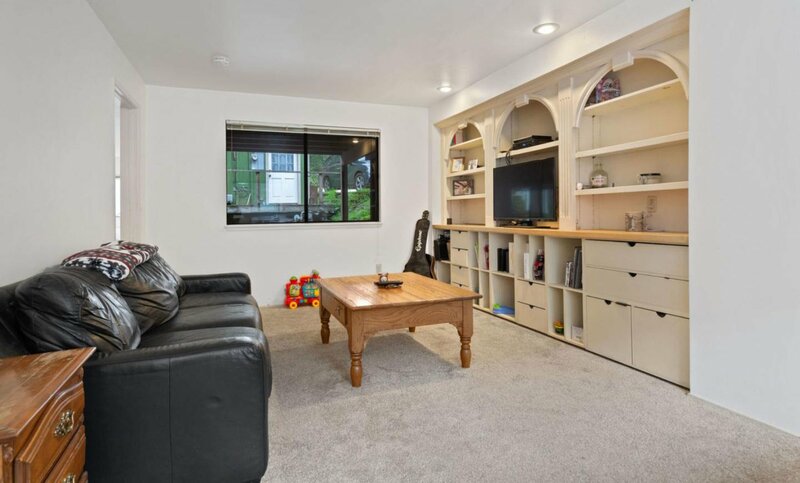 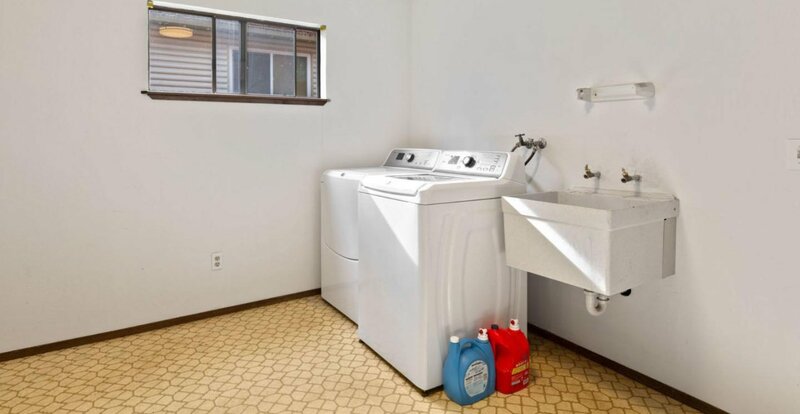 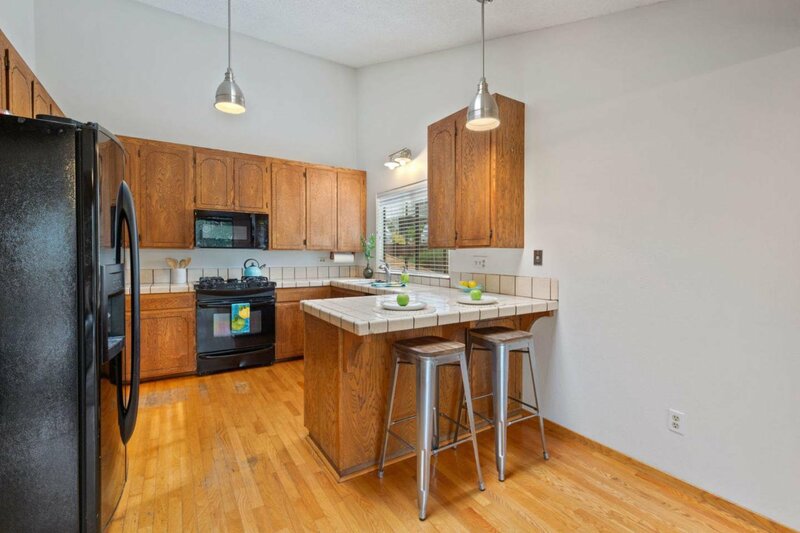 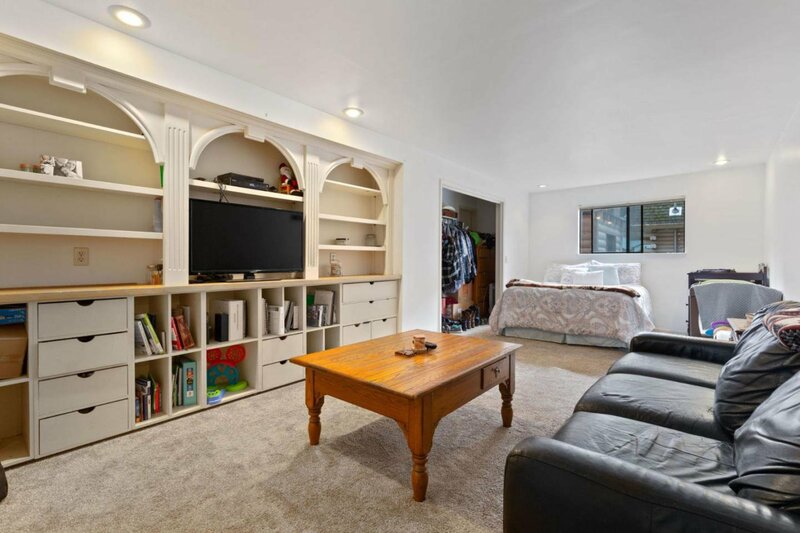 2-car garage + room for parking for additional vehicles.